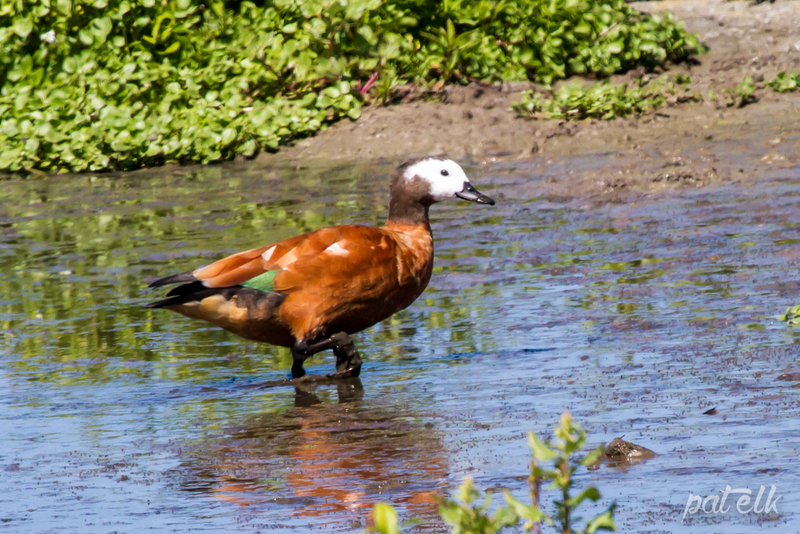 The South African Shelduck (Afrikaans name, Kopereend) is a colourful duck, they are a common resident, endemic to the area. 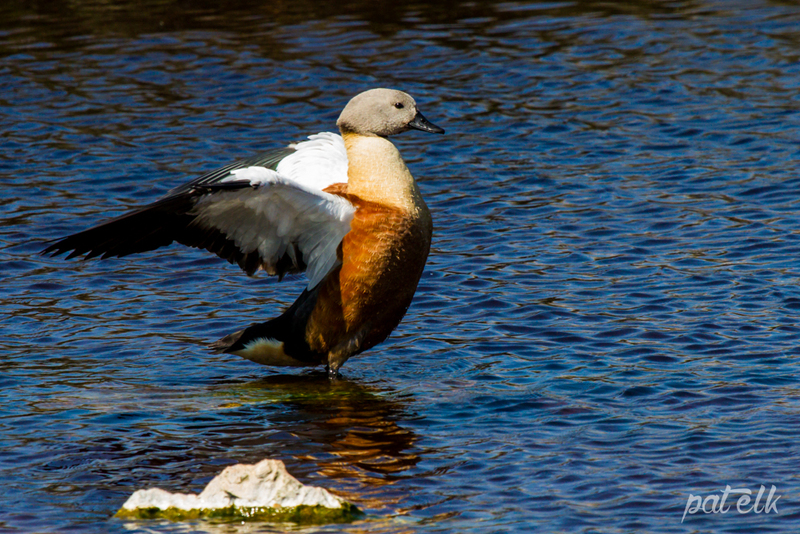 The Male has a plain grey head with rich coppery tones on the body. 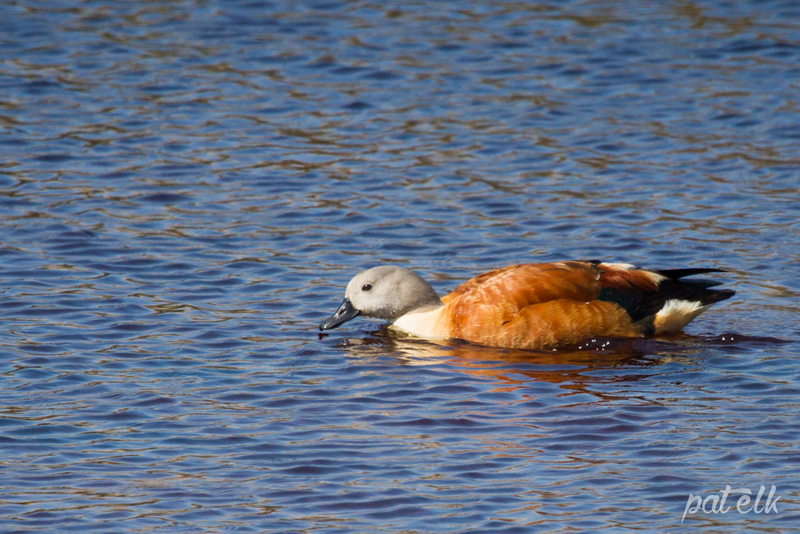 The female has white face patches. They feed mostly on vegetation and nest in holes in the ground.